Hi guys! Sorry I took a brief hiatus. It wasn't intentional, time just sort of slipped away from me. I'm still in recovery from this weekend, sniffles, aches and all. We babysat our two nieces this weekend and we had a blast. I learned a valuable lesson. 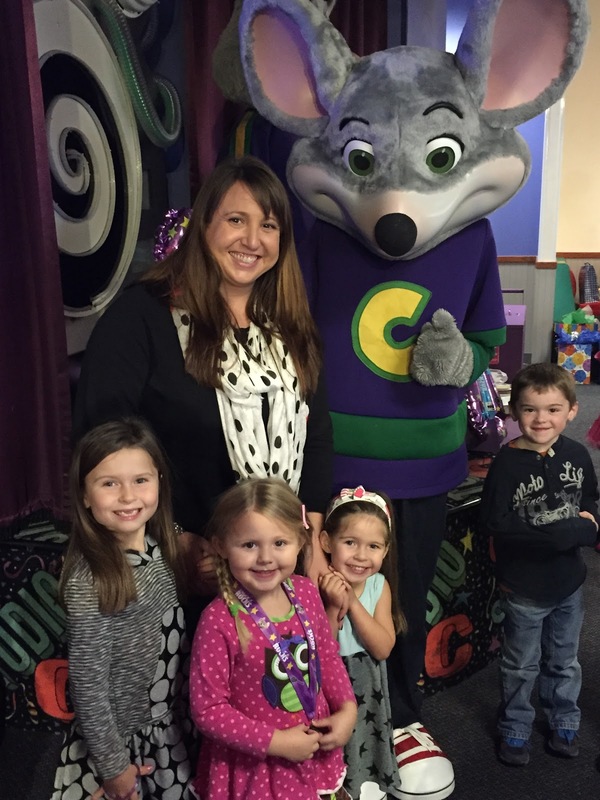 Chuck-E-Cheese is FULL OF GERMS! We went to a birthday party there with the girls. Next time I will remember to bring hand sanitizer. By yesterday afternoon I was stuffy and achy. Here's hoping it goes away soon! After the birthday party, we went to a pumpkin patch. I had never been to one and I'm not sure who had more fun, me or the girls. The only downside was the temperature dropped and we were not appropriated dressed so we were all popsicles by the end of the afternoon! We took a hayride (another first for me) out to the pumpkin patch, but it has been raining a bunch recently and the field was VERY muddy. We were not in appropriate shoe wear so we just took a hayride. There were plenty of pumpkins back at the front of the farm to choose from. hot apple cider and donuts, all sorts of fun things to do. We tried to cram in as many as we could before we froze. My 7 year old niece took this picture! I think there is another budding photographer in the family. As my mother-in-law said, only I could find a pink tractor! It was a very happy accident. I love me some pink! John Deere eat your heart out! After the pumpkin farm we came home, carved pumpkins (yes we carved on for Buoy) and had grilled cheese and tomato soup for dinner. Then we snuggled in for a Disney movie before bed. I love babysitting these girls. They are so much fun to be with and it gives me an excuse to watch Disney movies. Sunday morning we had a lazy PJ morning with pancakes and another Disney movie. My hubby was awesome and made us each a pancake with our initial. The girls call me E, so I got an E! That was our weekend in a nutshell! A fun, fall-filled weekend with our nieces. How was your weekend? Have you done any fall activities lately? Looks like a fun weekend - great job with the pumpkins!